We were all new to couponing at one time or another and I can remember just feeling overwhelmed in the beginning. But I hope this page helps to explain things a bit more and gets you started on the road to keeping more of your hard-earned money in your pocket. Saving money by couponing goes way beyond simply clipping a coupon and using it on something you need. The best way to maximize your savings is to wait to use your coupons against a sale or a special deal and to buy several of the item if the price is right. While I do maintain a stockpile, I don’t believe in letting my stockpile overtake my house. Sales usually cycle around every 3 months, so purchasing enough to last you through to the next sale is a good bet, especially if you are short on space. Be patient- building a stockpile takes time, it does not happen overnight, but little by little you will find yourself being able to grab something from your stockpile when you normally would have to run out for something. 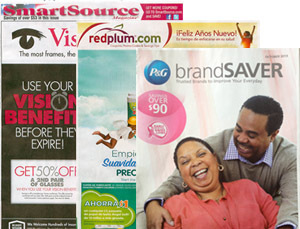 NEWSPAPER COUPONS: One of the most popular resources are the coupon inserts that can be found in the Sunday Newspaper. There are 4 main types- the PG- usually put out once a month by Proctor & Gamble, the RMNE or RetailMeNot Everyday insert and the SS or Smart Source Insert both usually found in most papers every Sunday, and the GM or General Mills which can usually be found every 4-5 weeks. Every Saturday I post a Sunday Newpaper Insert Preview with highlights of what will be coming in the Sunday paper and I also list resources for obtaining inserts and coupons that come from them. You can go HERE to check out the most recent preview with a list of Resources. PRINTABLE COUPONS: Another popular way to get coupons is to print them. There are several sites that consistently offer printable coupons: Coupons.com, Red Plum, Savings.com, & SmartSource are good places to start. Lots of manufacturer’s sites also offer coupons and a good way to check and see if there is a printable coupon for something you need is to check My Coupon Database. If there is a printable– there will be a link provided to lead you to where you can find the coupon. OTHER COUPONS: Coupons come from many many sources. Many manufacturer’s place Hangtag Coupons or Peelie coupons found on products on the shelves or Tearpads usually located on a display or shelf near the item.You may even spot coupons in magazines or at the office of your doctor, dentist, pediatrician, vet and more. Once you start looking for these valuable little pieces of paper, you will be surprised at just how many places they turn up! OOP: Out of Pocket. The amount you actually spend. There are several different ways to keep your coupons organized so you can easily find them. Many people use a binder method- where you can split up your coupons into pages with pockets and organize how it works best for you. Sometimes people organize by item type- ie Frozen, Snacks, Canned, etc, or some prefer to alphabetize. You have to do what works best for you. Some people like to just grab baseball card type album sleeves fitted into a binder to keep them organized. A binder is very nice in that it’s a way to have your coupons with you at all times which comes in handy for Target Clearance- it can be a time-consuming method- but wonderful if you can keep it up. it means it can be found in the January 8th Smart Source Insert. The different amounts in the front mean that some areas will have a $1 Off 3 and some areas will have gotten a .50 cents off 2. The x followed by the date is when the coupon expires. But finding the best way to organize is a process – and you may go through several different ways before you figure out what method works best for you. Target can be a great place to save money in several different ways. For starters- Target allows you to stack coupons- this means allowing the use of one manufacturer’s coupon AND one Target Store Coupon AND one Cartwheel Offer on EACH item. Target Coupons can be found in a variety of places…. TARGET INSERT COUPONS: Target store coupons can sometimes be found in the regular Sunday inserts on occasion. Target Insert coupons are always regional though and not everyone will get them. I do maintain a Target Coupon Page with a list of the available Target Coupons with matching manufacturer’s coupons you can stack. MOBILE TARGET COUPONS: Mobile coupons are Target Store Coupons that can be sent to your phone to be used for in-store purchases at checkout. You can pull them up on your phone’s screen and the cashier can scan the bar code. 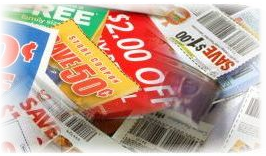 These coupons are meant to be used only once but can be stacked with manufacturer coupons. You will need to have an internet-capable phone in order to retrieve the coupons. Keep in mind- text messaging & data charges will apply depending upon your phone’s plan. We don’t see many of these any more, but you can see a current list on my Target Coupon Page HERE. TARGET CARTWHEEL OFFERS: There’s also a savings program called Cartwheel by Target offering even more opportunities to get great deals! You can get as much as an additional 50% off, occasionally even higher, on items at Target including grocery, health & beauty, baby, clothing and much more. You can redeem all offers on your Cartwheel in one transaction and an identical offer can be applied up to a maximum of four times in a single transaction. You are allowed one Cartwheel offer with one manufacturer’s coupon and one Target coupon for triple the savings! You can sign up thru email or your Facebook account and you will need a smartphone to redeem savings in stores, although you can bring a printed bar code with you in lieu of a smartphone. This bar code never changes, no matter what you delete or add to your cartwheel, so if you laminate it or find some other way to protect it, you can use it over and over. OTHER TARGET COUPONS: Target also sends out various mailers with coupons – home mailers are random – there is no 100% fool-proof way to get one. Sometimes having created a baby or wedding registry may help, or spending on a REDcard helps, or filling a prescription, and the list of theories goes on. But none of these things are a 100% guarantee you will start receiving them and unfortunately there is no definite mailing list to get on. When you check out at the register you can check the coupons that print from the Catalina machine that you get with your receipt. Sometimes they are Manufacturer coupons, but sometimes they are Target Coupons! 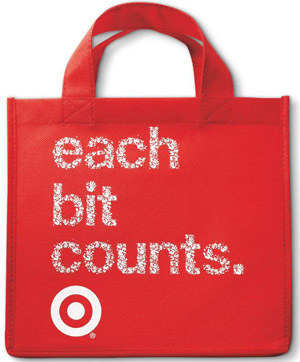 You can always see a complete list of ALL Types of current Target coupons on my Target Coupon Page. There are a couple of great savings apps out there for both iPhone and Android users to earn cash back for shopping in-store. The first one, ibotta, is a fun & easy way to earn extra money while shopping for buying products that most likely you were going to buy anyway. Plus, the Ibotta app offers lucrative Bonuses. The second one, Checkout 51, is also a fast and easy way to earn cash back on the brands you love, yet it also has some unique features and… you do not need to have a smartphone to take advantage of this great app! Watch the blog for new offers and matchups to be posted, plus you can read about each of them in more detail as follows…. for more info on ibotta, go HERE and for more info on Checkout 51, you can go HERE. 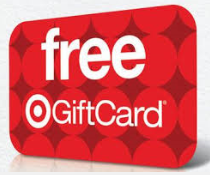 Another way to save at Target is by taking advantage of their Gift Card Deals where a Target Gift Card is awarded at checkout in return for buying a specified product or products. Gift Cards cannot be used in the same transaction you earned them, however they can be rolled into the next transaction. If you do more than one Gift Card Deal in a transaction you WILL receive both Gift Cards. There are usually several Gift Card Deals in the Target Ad every week, that usually only last that week. However sometimes quite a few Gift Card deals remain unadvertised and extend for longer periods of time. Target also offers Special Purchase Deals. These are usually a B1G1 Free type of deal or instant savings when purchasing 2 or more of a specific product. Again several of these are advertised each week, but some are not and last for 2 or more weeks. I do my best to keep track of as many unadvertised longer-term Gift Card & Special Purchase Deals as possible on the Special Deals Page. On that page you can find the details, coupon matchups and some Deal Ideas so be sure to check it out. Target has a price matching policy which they refer to as a Low Price Promise. This can be another way to save Gas, money & time, since Target will honor local competitor’s ads, however there are quite a few rules and restrictions. You can view Target’s official price matching policy HERE. You can find the official Target Coupon Policy HERE. It’s always a good idea to print it out and keep with you when you shop. Target will accept printable coupons with a scannable bar code except one that is for a FREE item when no purchase is required. Target does not accept competitor’s coupon or expired coupons. Target does not give cash back – if the coupon is for more than the value of an item, the coupon amount may be reduced to meet the cost of the item. Target also has specific rules about using B1G1 coupons. You can check out this post HERE for more details and examples. I hope you have found this page helpful, but if you have more questions or you have a deal you would like to share with me, you can contact me at [email protected]. I saw that there are two cartwheel deals available that overlap. One for 25% off all C9 outerwear and one for 25% off mens outerwear. Can I use both if I buy a men’s C9 jacket (or something similar) ? Hi Miranda- I am not quite sure how that would work- but my guess would be that it would take off one or the other. but lmk if you discover differently! I just got my Target sales paper for 1/31 to 2/6, while almost everything in it is exactly as is listed on the website, there are a couple items (just so happens to be the ones I wanted to buy) where the price you have is not what is in my sales paper. For instance, my paper has sodas on sale for 4/$11, while the online version has 4/$10. Is this a regional thing? FYI. Coupons.com has removed the ability to enter a zip code in order to gain access to additional coupons. For the current coupons of $25 GC with $150 in baby how does the $150 in baby sales add up? Is it $150 prior to manufacturing coupons but after cartwheel and target coupons? or $150 prior to manufacturing, cartwheel and target coupons? this is my first time on your page and actually my first time trying to use coupons and on the page with the target special of free $15 gift card with the purchase of diapers/wipes $75 or more I looked at the links for the coupons that could be used with this promotion and saw a $3 off pampers coupon and clicked on the link but not able to find it. Could you please tell me how I could get that coupon. What is going on with catalinas or lack thereof in the DFW area? I recently realized that I haven’t got any of them in several weeks when I cleaned out my coupons. Last night I asked the cashier about them and she says when she thought about it she hasn’t seen any print out for awhile. I did see your note on some deals where a catalina wasn’t available in several cities, DFW being one of them. Will Target allow more than one threshold coupon in the same transaction? For example, the $5 off $30 coupon combined with the $1 off $5 market pantry mobile coupon. I have two Catina’s both $2.00 off (15) cans of wet “Purina Beyond” dog food. Cashier declined coupon on clearance item a Target. She told me Target does not accept coupons on clearance items. I do not see anything in their policy about this Ay answers? Hope someone can help me! This week’s sale is buy $50 in groceries and get $10 GC. There is also a deal on Tysons Chicken for buy (2) get $5 GC. If I purchase (4) Tyson’s plus a few other items to make it to the $50 threshold can I still get a $5 GC for every (2) bags of Tyson’s purchased and the $10 GC for purchasing $50? Just want to add that I love your site!! I have save so much and I’m recreating a new stockpile thanks to the previews on this site. hth & so glad you enjoy TT! Thanks for responding Kerri :=) Well, I went to target today and my total was $52. After coupons, cartwheel and gift cards from last a previous purchase my out of pocket was $34.83. My total gift card received were, $10 for meeting the $50 for the grocery deal and (3) $5 GCs for the purchasing 6 Tyson’s. All was well and the cashier was impressed! Do you know what the OCT Target Beauty Box looks like? And when exactly does it come out? I seem to always be too late. Can i use a coupon that says redeemable at Walmart? 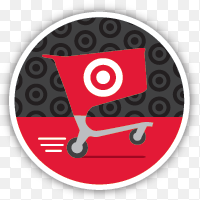 Can I use my cartwheel on an online purchase and how do I do that? Kerry, is there such a thing as “regional” cartwheel offers?? The No Yolks offer you posted today does not exist on my cartwheel. Hi IG – yes sometimes they are only available in certain regions. They changed most of them to show up as exclusives for individual users – however every now and then there will be a cw not marked as sucjh but not everyone will be able to see it. Sorry you can’t see this one. Hi Kerry. I have a stack of the target gift cards ($5 and $10 dollar ones from buying certain items in store). Can I use them all at once on a large purchase? HI Kimberley – in stores I bbelieve there is no limit – however I do think there is a limit of 4 gift cards as payment online. hth!